In Australia, almost everyone owns a car and for good reason – with so many awesome places to go and so many pieces of bushland that are inaccessible via public transport, a car is your ticket to freedom. However, the Australian license system can be slightly confusing. First off, it varies from state-to-state; then within states, you have to go through a number of different stages before you can be a fully qualified driver. Confused? Don’t be. Here’s a step-by-step guide to obtaining your license, including some tips and tricks to help you along the way. In order to get your learner licence, you must pass a test about the road rules in that state or territory. Each transport authority website will have practice tests and a driver’s handbook that you can download. It’s important to familiarise yourself with the handbook (read over it two or three times) and then take the practice test at least 3 times before going in for your test. After you have your learner licence and your L plates, you’re probably keen to get behind the wheel and learn how to drive. Of course, there are restrictions you must follow (you must be supervised at all times, for example) and these can be found on the road authority’s website. 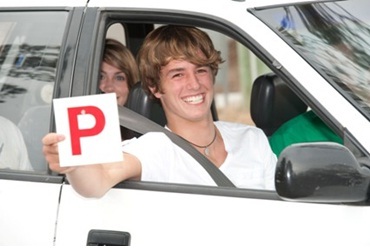 Most states and territories will give you a bonus for driving lessons with a professional instructor – in NSW, for example, an hour with a paid driving instructor counts for three hours – and there will be a minimum amount of logged hours you must complete before going for your red P plates. It’s a good idea to look into buying used cars like Mitsubishi cars or Hyundai cars – this way, you don’t spend too much money but you still have a reliable vehicle to practice in. Once you’ve been on your red P’s for a certain length of time – this varies from state to state – you can go for a test to receive your green P plates. You’ll have more freedom to drive around after you’ve gotten your green P’s, although you’ll still be capped in terms of speed. The final stage: your full license! Again, after you’ve had your green P plates for a certain length of time, you will be able to take a test for your full licence. Once you’ve obtained this, it’s all systems go – you can drive around as you please (within the road rules, of course)! …it’s important to visit the transport authority website in your state or territory. If you’ve recently arrived from overseas, these websites will have information about transferring your licence and so forth. They also have handy tips and guides, and on some you can book online for your tests as well. What do you think about the licencing system in Australia? Is it easy or difficult to get your licence?